We have collected a series of frequently asked questions to help you make the most of our software. For any further inquiries please refer to the user guide, or contact us. Sure; once you download the software you can use it forever. If you choose the paid versions, the payment is one-off with no type of extra fees. All information about the license agreement can be found here. How can I uninstall MailStyler? It’s very easy. Please follow all the instructions here. Can I use MailStyler on Mac OS? There is no native version of Mailstyler for Mac, but if you follow our instructions you can use it on OS X. How to compose a newsletter? MailStyler is wholly based on drag and drops. To start creating your email all you need is to choose an element type from the “Blocks” menu, pick the single block you prefer, drag it onto the page and dropping it with a single mouse movement (click, drag and release). It’s really that easy: in less than a minute you will be perfectly at ease. the whole is the block, while the two columns are cells — and each contains in turn an image, a title, some text and a button. Can I edit a single cell or a single element of each block? Yes. Simply click on it and then click on the icon with a small brush put on the border. The other icons allow you to delete, copy and swap an element (where allowed). Can I swap the places of two or more cells? Yes. Click on the small icon with two arrows on the border between the cells. What are MailStyler's ready-made styles? Our team of designers has created some default styles to give you a ready-made color background and structure with a precise chromatic balance. Can I change the styles of my newsletter? Of course. The menu on the right is entirely devoted to styles. Please select and apply the one you prefer to the whole email. Can I customize my own styles? Yes: you simply need to save a style with a name after having modified it. How can I delete a block or a cell? Click on the small icon with a trash bin on the border of the selected element. If you want to restore the deleted element, hit Ctrl+Z and undo the action. Can I create a default template? Yes: create the template and save it as “default template” using the relative option provided by the button “Save” in the menu above. When I try to change the font style or the dimension or try to apply some text effect, I see no changes in the email. Why? You must first select the section of text you want to apply the change. Can I embed an image in the email? 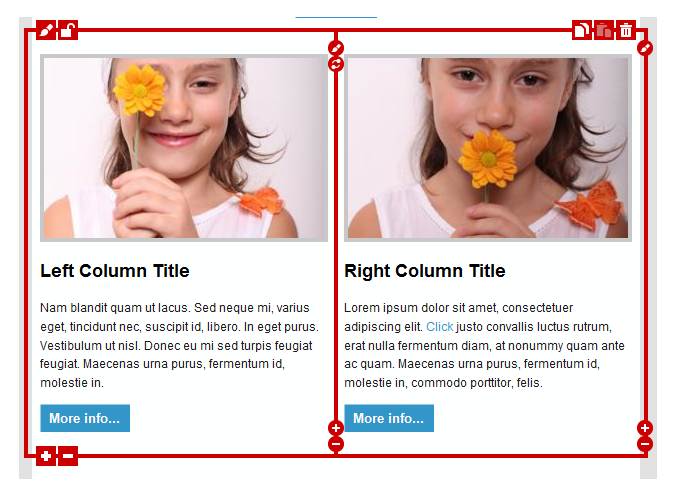 Yes, by setting each image as embedded in the relative box, in the editing form (the same applies to buttons). Please note that on IE8 images larger than 32KB are not displayed. In MailStyler’s free cloud system. If you wish otherwise, you can export them as local files and manually upload them on your own space, updating the tag “src” of each image. How can I get a preview of my email? Simply click on the “Preview” button on the right above and choose whether to open it in a browser or in your default email client. How to export my newsletter? Once you have composed your email, click on the “Export” button on the right above. You can save the template as an .eml or .html file. Once exported, where can I use the template? The newsletters created with MailStyler can be used on all email clients (Thunderbird, Outlook…), email marketing software (SendBlaster, Atomic Mail…) and online services (MailChimp, VerticalResponse…). We guarantee a perfect compatibility with all platforms. Is HTML required to design an email with MailStyler? Absolutely not; you don’t need to write a single line of code with MailStyler. All the email building process is completely based on drag&drops and direct editing. Is there a discount for non-profit organization? Yes. We’re glad to donate a MailStyler Pro license to all qualifying secular non-profit organizations related to health-care (such as child care, disability services, family support etc.). The license is lifetime and doesn’t imply any recurring fee.